The River Glaven needs YOU! Annual membership of the River Glaven Conservation Group is £10. Members receive a bi-annual newsletter with articles on recent activities of the RGCG and on the natural history of the river. Still need convincing? 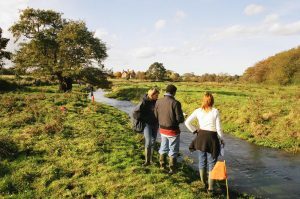 Find out more about our aims and objectives and what makes the River Glaven Conservation Group unique. The simplest way to join is online via PayPal, which is quick and secure. Alternatively, please download a Standing Order Mandate to send to your bank.